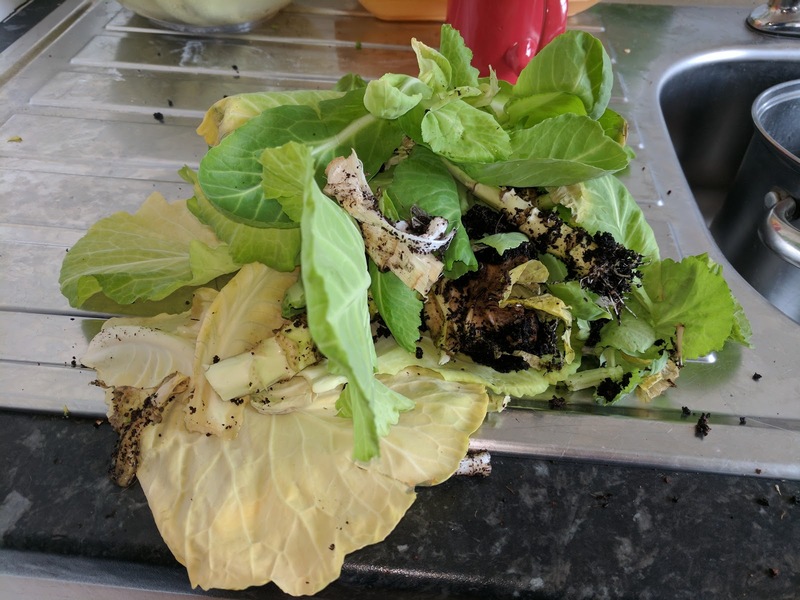 Today I thought I'd do something about the state of my indoor cabbages. 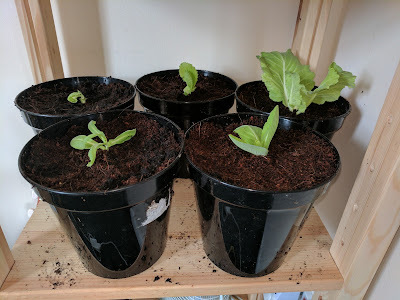 These are all taken from previously used cabbages, the ends of which I'd kept in water for some time before planting in soil, similar to how I have retained my leeks and on which I may blog in more detail later. 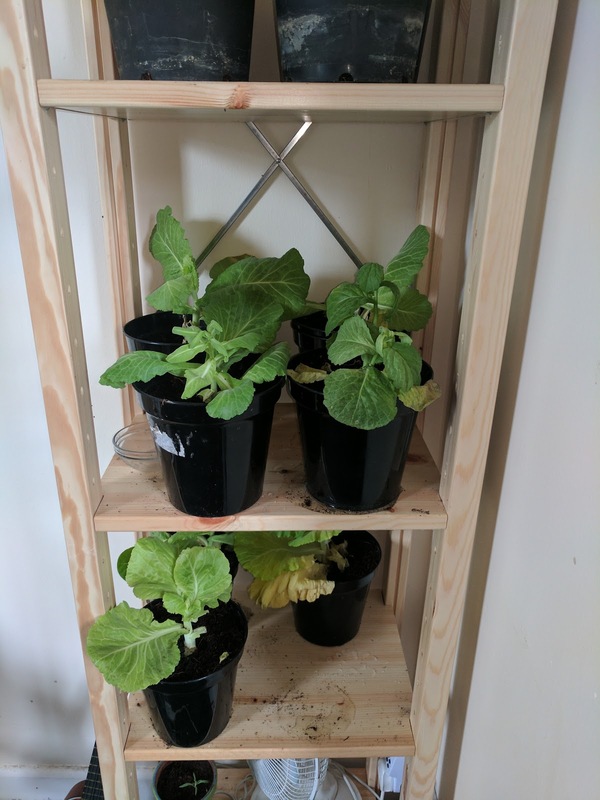 They've done better than I expected on the shelf space I'm planning to use for a much more substantial and productive vertical growing space in the future. Here they're receiving some direct sunlight (this picture was taken quite early this morning, on an overcast day, hence the shadiness) but I fear they've reached the limit of what they can do under such conditions. 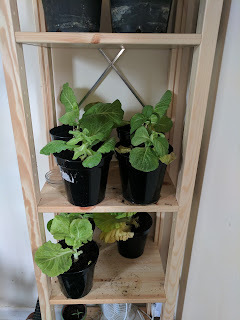 "Bolting" refers to the process of plants flowering and producing seeds before you're ready to harvest them, which is fine if you're focussed on sowing for next year, but no use if you want some indoor edible plants this year. 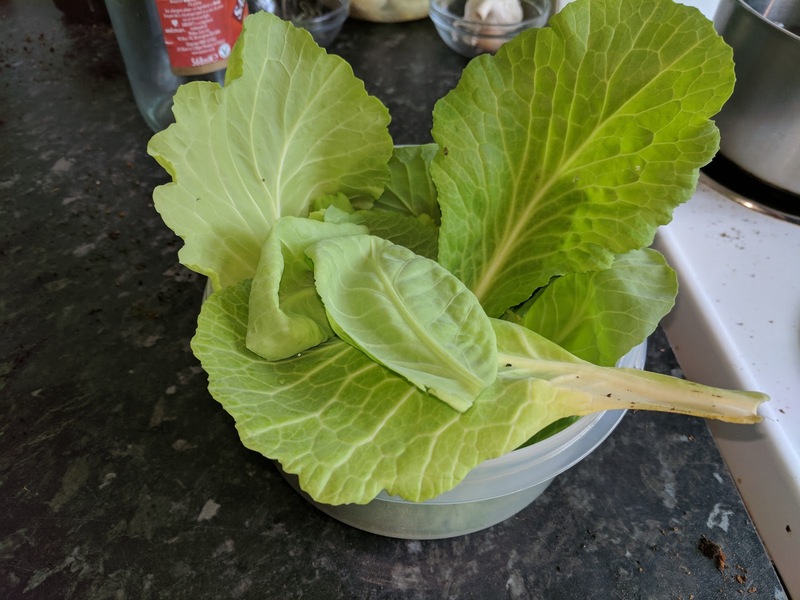 The cabbages I've happened upon don't seem to be flowering as such, but nor do they seem much interested in growing big, green leaves. This is really of no use to me at all. So I thought I'd try taking some cuttings, and...propagating them? 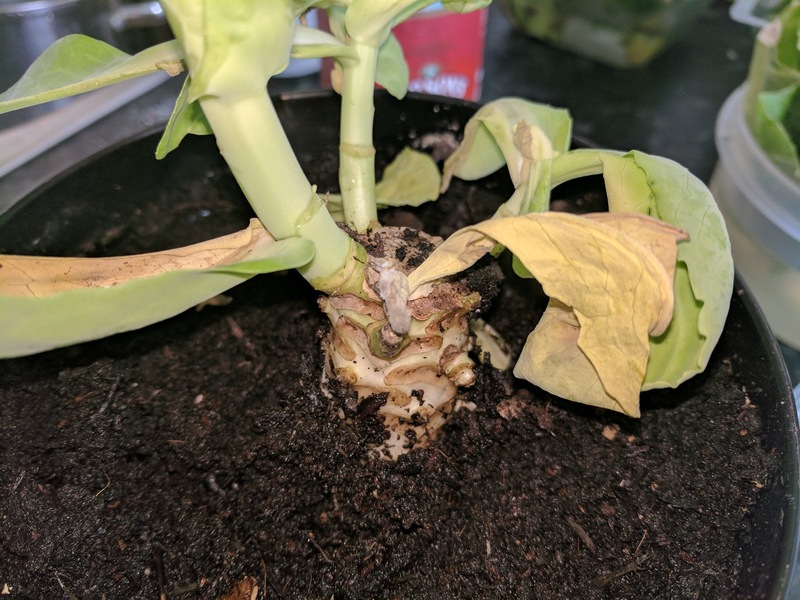 I don't know if this is the right word. I have so much to learn about gardening, and I could probably work all this out quite easily with a bit of googling, but it feels more like one of those things I should make my own mistakes with, rather than learn from others. 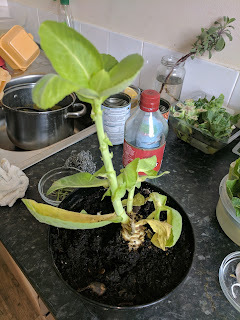 Thus, I snipped off some tops, leaving enough material to hopefully allow some kind of root structure to emerge, and planted the little cuttings back into the pots, topped up with fresh compost (including a sprinkling of the worm compost from the other day). We'll just have to see how that goes.